Written by: Garion Thain It’s September, which means parents around Australia are starting to prepare their little ones for Kindergarten next year. For young children, this is a critical time for developing basic communication and learning skills. It’s a time to look, listen and learn. Keeping close track of a child’s development allows for early intervention, at a time when their strengths and weaknesses become most evident. According to the World Health Organisation (WHO), 32 million children worldwide have disabling hearing loss. 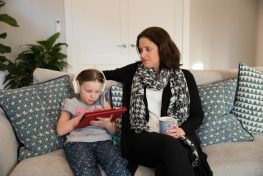 The impact of hearing loss in children is still commonly misunderstood. We recently asked our Facebook followers 5 questions to find out what they knew about this issue. Here are our answers: 1. 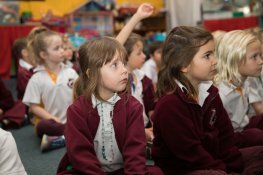 Do Australian Primary school children have their hearing checked when they start school? 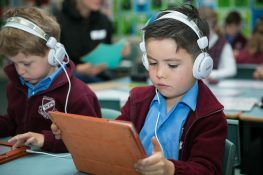 In most states and territories, Australian primary school children do not have their hearing checked before starting school. In NSW, preschool children are offered a sight test, but not a hearing test.